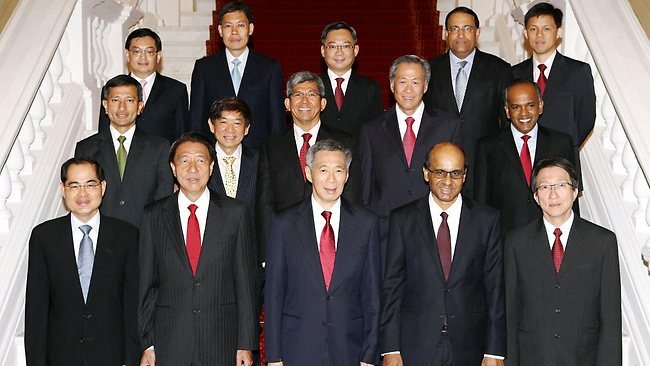 In “taking the pulse” of Singaporeans on the mid-term performance of the government, a survey by The Straits Times revealed that the two most important factors were the need for checks and balances and the candidate’s attributes. Analyses of the 500-person survey’s results focused much on the checks (the “accountable” part) and what the government has done in specific areas, including housing, transport, education, healthcare and taking care of the poor and the elderly. The latter were considered the hot bread-and-butter issues from GE2011 which had to be immediately addressed or ignored at the People’s Action Party’s peril. The poll found out that the bolder the government’s moves away from the conventional paths, the greater the belief that it has done right, example the Pioneer Generation Package, housing and transport. Be committed, try a fresh approach seemed to be the new governing normal. The government is expected to deliver or out it goes, anyway. This is the benchmark it has carved out in its own unending harping on excellence and intolerance for failure, at all levels. The ministry which might have become a victim of the party’s own mantra was the Home Ministry. The Little India riot and relative inadequacy of the police response, the woman who drove undetected through the Woodlands Immigration Checkpoint and at least two more checkpoint lapses do not show a government at its glory best. Even good policies may not be enough, however. As it kicks off into the second half of the current term of office towards a pivotal 2016 (or earlier) general elections, it has to recognise the sea changes in voter demands of their MPs – both PAP and opposition – and of a national government. Younger voters today want an MP who can function effectively at their local level and also be particularly articulate in Parliament and any outside platform. The type who is suitable as a backbencher or be brilliant as part of a backroom and exposes himself as a mumbler in public speaking can better serve society as a doer out of public glare rather than as a leader arguing out his case in front of critical audiences. Singaporeans will support MPs who can voice their concerns and act in their interests, not just the party’s, at least on issues not in conflict with their mothership’s core values. They desire a thorough public debate on important issues, which would not be possible if we have MPs who are uncomfortable thinking on their feet. Getting such leaders who can carry the ground confidently will be crucial for the PAP’s survival in 2016 and the years beyond. The party will also be judged by the way it treats other elected MPs representing a dissenting swathe of Singapore voters. Time to discard the pettiness and small-mindedness, which have cropped up now and then to colour its conduct towards opposition parties. That is not smart politics. Young voters now expect more of their politicians. On a scale of 10 at half-term: the Government/PAP has at most six.